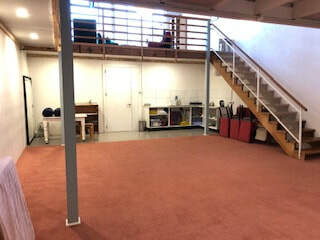 This calm studio space measures 6 x 9m with 6m ceilings. 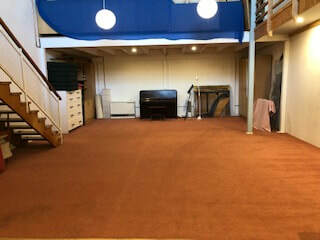 This studio is fully carpeted. It features a peaceful ambience with a versatile wet bar area. It is best suited to rehearsals, individual and smaller groups or classes. Clean toilets and a well-equipped kitchenette down the hallway. Casual hire rates are $20 an hour for the small studio. For available times see the Small studio calendar.